Spain’s tourism minister has met with UK tour operators to discuss contingency plans to ensure millions of British tourists can still visit her country in the event of a no-deal Brexit. Reyes Maroto is holding talks this week with the heads of some of Britain’s biggest travel companies, including Thomas Cook, to draw up proposals in case the UK crashes out of the EU with no withdrawal agreement in place. 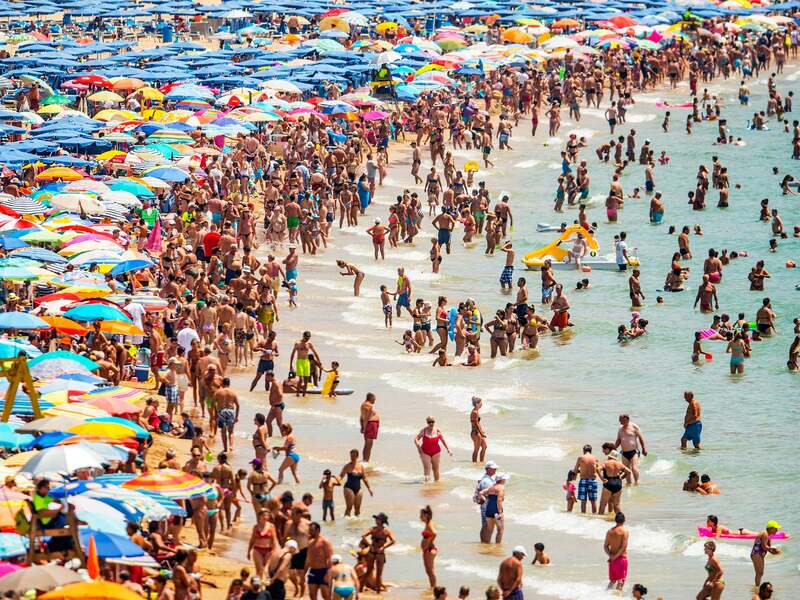 About 18 million British tourists travel to Spain each year, accounting for nearly one-quarter of all visitors. “British tourists need to know that Spain next year will still be an attractive destination,” said Ms Maroto, minister for trade, industry and tourism. International tourism accounts for about 11 per cent of Spain’s €1 trillion (£870bn) economy and the sector is the country’s biggest employer. More people travel to Spain from the UK than from any other nation. Ms Maroto said: “For our government, Brexit is a top priority and the commitment we have to Spanish companies and Spanish nationals in the UK, as well as with Britons in Spain, is to ensure that we will have a solution for any problems that might crop [up]. The EU’s chief negotiator warned on Tuesday that an agreement with Britain over the Irish border – the biggest withdrawal issues yet to be resolved – was not close. Michel Barnier said there was still a real point of divergence over the problem, after Theresa May called for a review mechanism to be attached to the EU’s planned backstop that would guarantee no hard border. Delays in resolving the Northern Ireland border issue also mean negotiators have not worked out even an outline of a trade deal either.